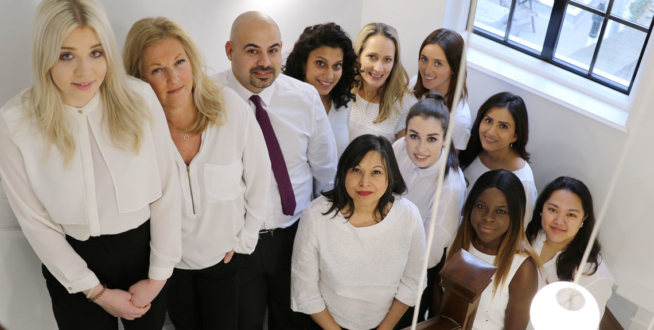 From your first consultation to your follow up appointment, our dedicated team make sure you’re always in safe hands. 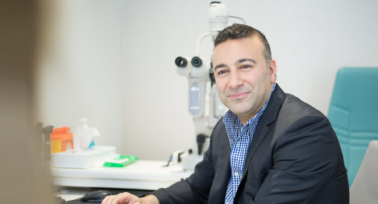 At your first consultation, you will meet our team of specialist technicians and opticians and chosen surgeon. 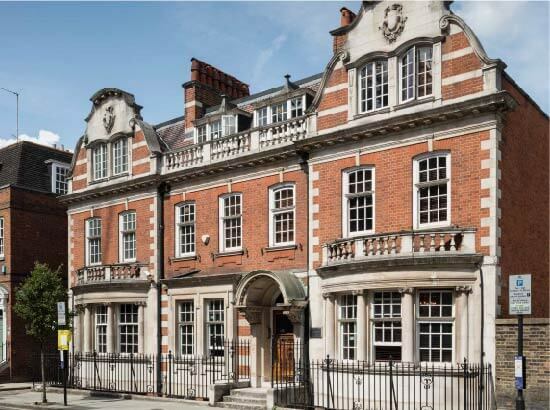 This will give you the opportunity to experience the high levels of professionalism, warmth, care and attention you will receive whilst being treated. 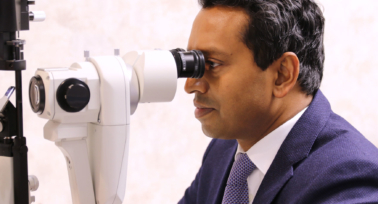 Your consultation will last approximately 90 minutes, beginning with a thorough eye examination with our specialist team. We will study your eyes using cutting-edge diagnostic equipment so we can assess your vision and the health of your eyes. These tests will be totally painless. We will talk to you about your occupation, hobbies, reading habits and distance vision requirements so we can get a complete picture of how best to correct your vision. Your treatment will be totally customised to you and the way you want to live your life. 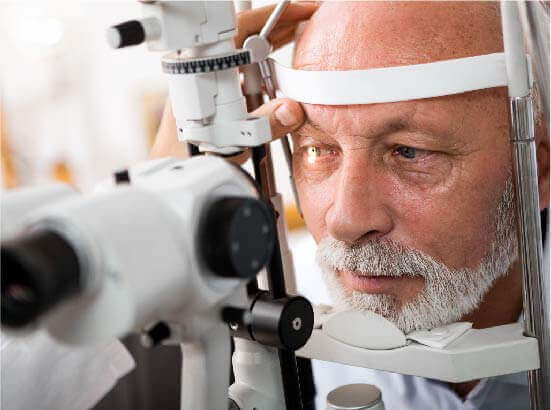 After this we will take time to discuss your test results with you and answer any questions you may have; as well as talking with you about the procedure recommended to correct your vision. You will leave your appointment with all the information you need to feel informed about the eye surgery we are recommending. You will not need to make your mind up immediately and will be encouraged to reflect on whether you’d like to go ahead with surgery. If you do decide to go ahead, a dedicated member of our team will assist you through the booking process. During your visit, our dedicated team of eye care specialists will be on hand to help you every step of the way, making sure your visit runs as smoothly as possible. It is perfectly normal to feel slightly anxious on the day of your surgery. 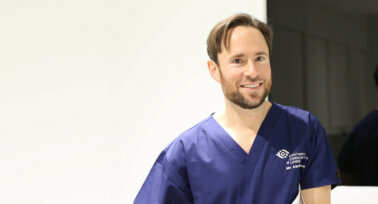 Many of our team have had laser eye surgery themselves so completely understand how you may be feeling. You can be sure that you are in safe hands, and that we will do everything we can to make your procedure smooth and stress-free. When you arrive for your appointment, our experienced, friendly and empathetic team of nurses and technicians will welcome you and set you at ease. 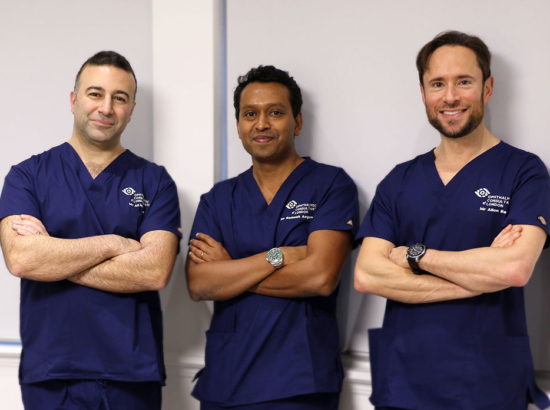 The team will go through any necessary paperwork with you and will talk you through how to use your post-operative drops and how to best look after your eyes in the days and weeks after surgery. You will meet your surgeon again before your surgery and will have ample opportunity to ask him/her any questions. During the procedure, your surgeon will reassure you and talk you through each step so you feel calm and in control. When your surgery is finished, you can relax with a drink in the relaxation suite before going home to rest. We ask that you don’t drive or use the London Underground (Tube) on the day of your surgery. Waking up the morning after surgery is a wonderful moment for our vision correction patients. Due to our advanced techniques, training and state-of-the-art technology, your visual recovery will be incredibly fast. The vast majority of our patients enjoy perfect vision as early as the day after surgery. Following your surgery, you will be invited to attend follow-up appointments as part of a fully comprehensive aftercare package. The number of visits required depends on the type of surgery you have. At each appointment, we will check your vision and the health of your eyes.